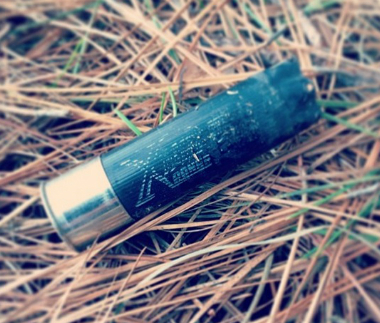 It is undoubtedly one of the most painful things to endure in the turkey woods. Something that if you hunt long enough you'll do multiple times. Something that, as some people say, you'll forget in "about 20 or 30" years. Missing a turkey is gut wrenching. Believe me, I know, because it always seems to happen to me at least once a year. While I certainly subscribe to Michael Jordan's philosophy of "you miss 100 percent of the shots you never take," when you put the bead on a gobblers' head, you expect him to fold like a ton of bricks. Yet too more often than I care to admit, we watch the turkey we've coaxed into range sail off into the sunset with a heart rate that's faster than our own. So when that infamous moment does occur, how do we rebound? How do we work to make sure it doesn't happen again? While that's certainly an act in futility, because it is certain that it will happen again, the key is to make sure the next shot you're presented with is a repeat of the last. The first thing I do after a miss (other than trying to strike a turkey on my way back home) is to get on the target range. I'm first going to shoot my gun with the exact same loads I will be hunting with to make sure something didn't happen to my setup that will call for an adjustment. Then, if all is good, I will run some dove loads through my gun to practice staying down on my bead and not flinching. These two common mishaps of shooting are a primary reason why many of us miss what should be chip shots. We get so caught up in the excitement of the hunt and the beauty of the bird that we tend to forget-or take for granted-the first lessons our mentors gave us as youths. I am the worlds' worst at beating myself up over a miss and wallowing in self pity. However, this is the worst thing we can do, because we can put too much pressure on ourselves the next time we're presented with a shot and let our anxiety turn us into emotional jello. You have got to have the mentality of an all-pro cornerback, you have to shake it off and move on. We will have chances to redeem ourselves. Two years ago I completely blew a chip shot on a big turkey, only to kill one that afternoon. Even though the miss that morning was lingering in my memory as I set up on the hard gobbling two year old I struck while making a prospecting run, I knew I had to focus on the task at hand, or it was going to be a long night of tossing and turning. Another reason we miss is we have a false sense of security in the reach of our shotgun. In the heat of the moment we tend to misjudge the yardage of a turkey, thinking he's plenty close enough when in fact he's truly out of range. Field turkeys are notorious for fooling us, and my best advice is if you think he's close enough, let him come another ten steps. While the rangefinder we carry deer hunting may assist us before we sit down, it is not always going to be available or in our turkey vest, so either make the commitment to let the turkey come as far as he can, or learn when to pass up a shot you're just not 100 percent confident in. Let's hope this article is a moot point for all of us this year. But if needed, remember to follow these tips to make sure another painful miss does not happen the next time you are presented with a shot.